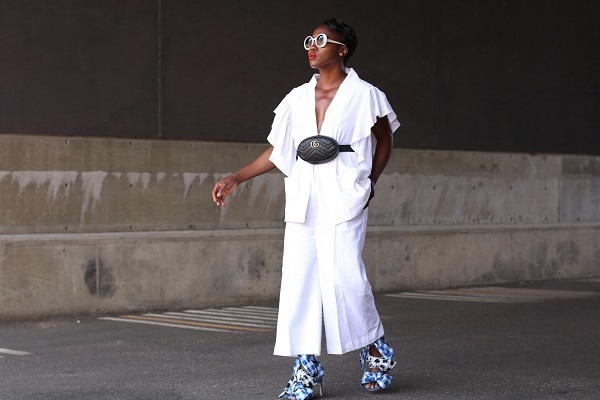 I have truly never seen a ruffle piece I didn’t dash for, same goes in the case of this alternative to white suit set when I set sight on it a little time ago. 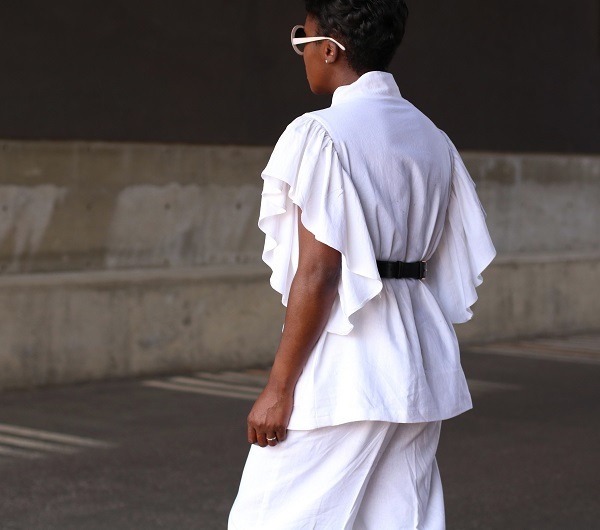 The cascading ruffled sleeves, the oversized external open top pockets and in white, yes please! 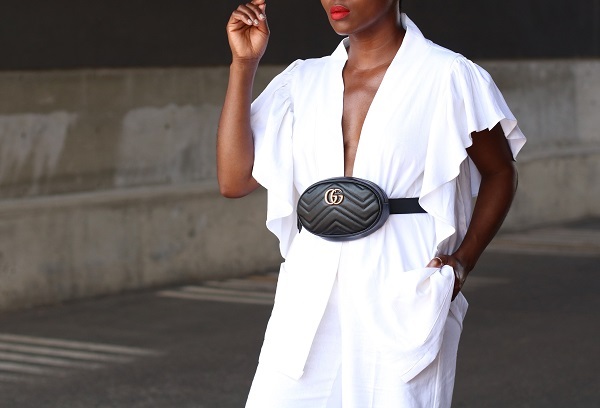 Adding a bit of pop and street-style element to the set, I switched the included white belt for my Gucci waist bag (if you aren’t currently on board with the belt bag craze, what are you waiting on? 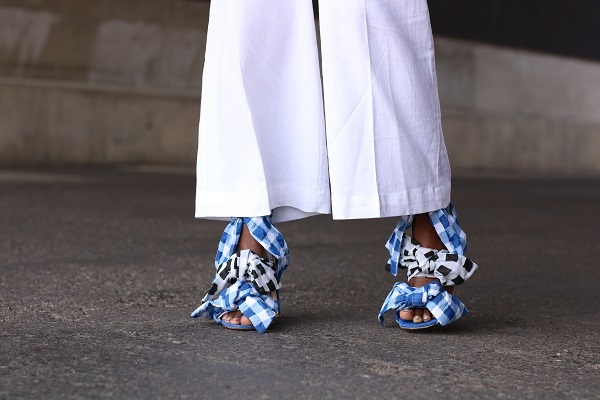 ), popped a white pair of sunglasses and finished with my current obsession, my stunning black, blue, and white pair of gingham heels for the win. 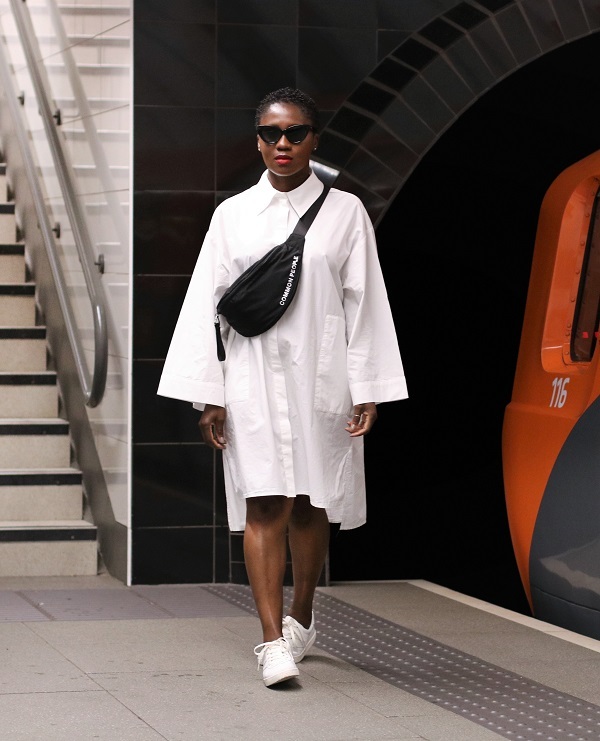 Love the look or not? I would love to hear your comments below.